Performance engineering has experienced phenomenal changes in the last decade with the advent of advanced technologies, renewed processes and a serious focus of businesses on cost, time and reliability of their web applications. If you have been reading 'Software Testing Tricks' regularly, then you might be already aware that I've been doing lot of experiments and reviewing various enterprise-class load testing tools recently. 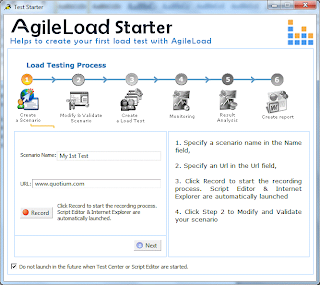 As part of this ongoing exploration recently I came across AgileLoad, a Windows tool for performance testing of web applications designed for use in internal networks or on the ‘Cloud’. 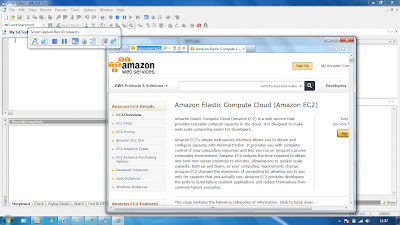 The cloud load generation support provided by the tool help generation of the load from distributed locations to simulate near real scenarios. 47% of your customers expect your web page to load within 2 seconds. 40% of your visitors (out of whom many could be your potential buyers/customers) will leave your site if the page loads longer than 3 seconds. And this 1 second delay will cost you an approximate loss of 7% revenue from your site. Every web application that is designed for the load of users, need to be optimized for that load and hence the need for an Enterprise-class load, stress and performance testing tool becomes even more important than ever. - Capture test scenarios by browsing through the application. - 4 records mode: integrated in IE, Proxy, Tunnel HTTP, Tunnel TCP. - The Starter Kit, makes quick ramp-up on usage of the tool super easy. - Automatic Modeling makes life easier for the load tester by reducing scripting time for subsequent test cases against the same app. - End to End diagnostic features of the tool not only monitors the front-end but also the back-end of the web apps and thus helps detecting the exact reason for performance degradation. - Anomaly detection and suggestion features help the tester to quickly identify and resolve the performance bottlenecks. 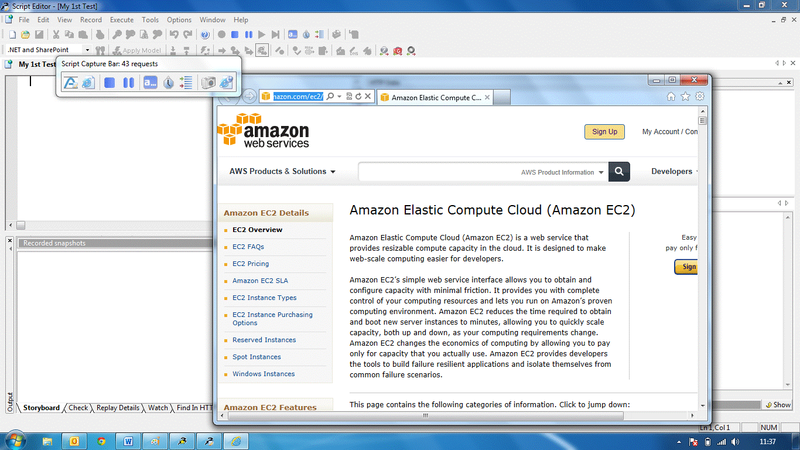 - Configurable Reports add visibility into your tests and hence is a very useful feature. 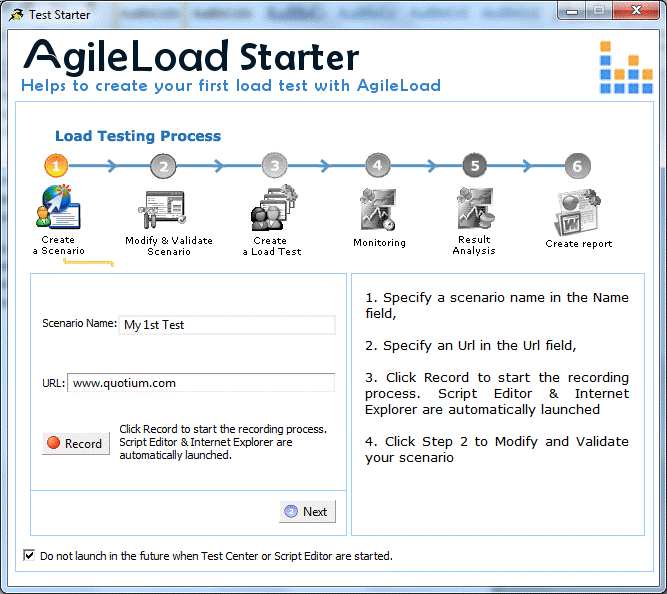 The Free version of AgileLoad provides support for free scripting and 10VU supported testing, for both on Premise and On Cloud variants. Using the free version of the tool, you can design, setup and execute load tests with 10 concurrent users for 15 minutes – for unlimited test (no trial period). For large test, a license based on a number of concurrent users and a time frame can be bought directly online and the cost for a 50 virtual user license (21 collectors) including full technologies support and monitoring starts at $72 per day. Additional pricing is available on their website. Excellent read.Really an informative post on load testing.The latest testing software comes with database management integrated which makes easy handling of the database.